Nigerian Entertainment Awards 2016 Disc Jockey of the year DJ Gavpop is the official DJ of Splash 105.5 FM & Lagelu 96.7 FM and the C.E.O of Time Scale Records, an entertainment outfit & disc jockey training company. He started in the late 90’s and he became one of the most valuable radio DJ & VDJ helping him win big in the Nigerian broadcasters merit awards in 2016. DJ Gavpop, who was the 1st video disc jockey in Oyo state, has won a couple of plaques on his shelf such as The Best DJ in Lagos under 30 & 40 Awards in October 2016, Best DJ of the Eminence Awards in 2016 & 2017 and Best wedding DJ in Ibadan Wedding Awards in April 2017, Maya Awards 2018 (Hall of fame). DJ Gavpop is a skillful, energetic and hardworking disc jockey who has over time proven to be called the best in what he does. 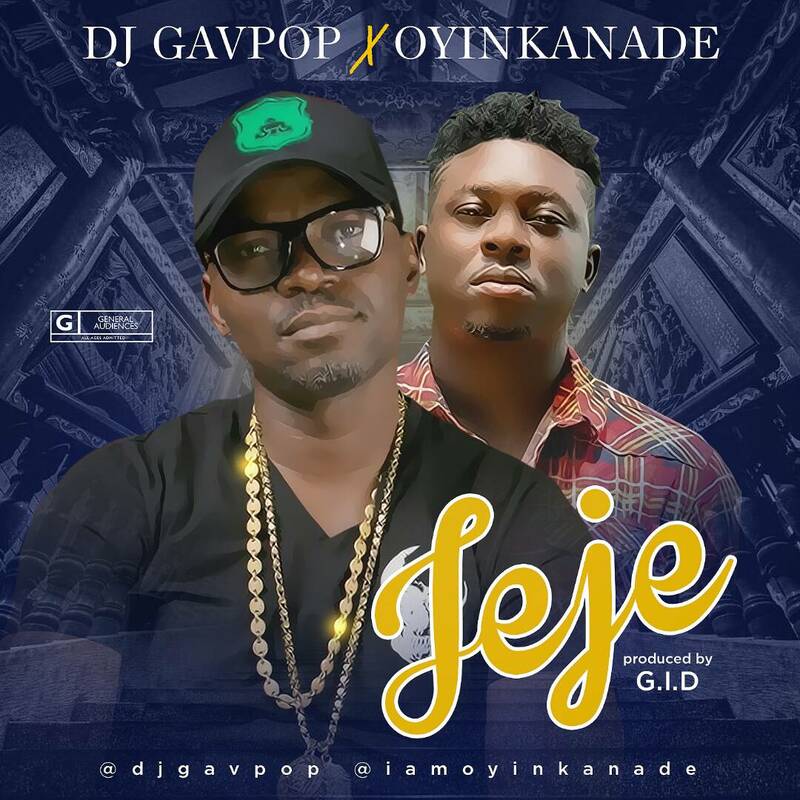 DJ Gavpop hooks up Oyinkanade (the best artiste to come out of Ibadan) on the amazing G.I.D produced tune Jeje. The song was mixed and mastered by Kentee Beatz.